The New York Knicks and Dallas Mavericks cranked up The Wayback Machine today and made a real-life trade as the rest of us blog boys were having fun creating Anthony Davis trades elsewhere. Kristaps Porzingis is really a Dallas Maverick, with the lovable Latvian soon joining the super Slovenian (Luka Doncic) and German giant (Dirk Nowitzki) in Dallas, Texas for a super-union that is sure to be a hit sitcom this spring on ABC. PER Player Efficiency Rating; MIN minutes; On/On-Off on court net rating per 100 possessions/on-off court net rating per 100 possessions; $million salary in millions; RFA Restricted Free Agent; T team option; P player option. On the Mavericks’ end, they now can sign Porzingis, when healthy, to a junior-max contract in October, which would set them up with two of the NBA’s best prospects—in KP and Luka—at relatively low prices for years to come. The Mavericks are one of the rare teams that can take a salary-cap hit next season when they overpay Knicks’ guards Tim Hardaway Jr. and Courtney Lee a $31 million combined in 2019-20. After that, those luxuries are off the books, if the Mavs so choose. 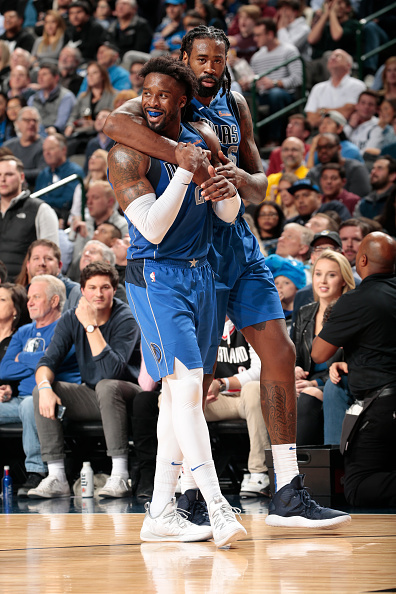 Either way, the Mavericks field a dream lineup moving forward that can create more space than any offense in the NBA, with J.J. Barea, Doncic, Harrison Barnes, Maxi Kleber and Porzingis giving head coach Rick Carlisle a wonderful quintet to implement. As for the Knicks, they now have the necessary cap room this summer to sign whoever they want. 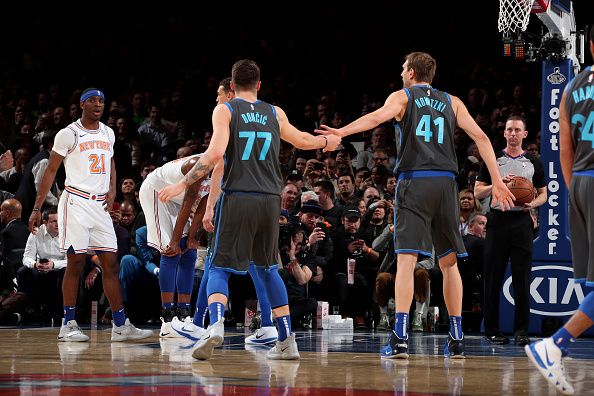 Plus, with a great lottery pick (the Knicks’ 10-40 is worst in the league) and several guaranteed-contract prospects in the oven (Dennis Smith Jr., Mitchell Robinson, Kevin Knox and Frank Ntilikina), they really do have a bright future heading into the 2020s, should any incoming free agents have the patience to let this team develop. With 49 percent of the league becoming potential free agents this summer, now is the time for teams to make this kind of salary cap room. And now with this trade, the Knicks can scare up as much as $75-to-$78 million if they choose to just bring back Smith, Robinson, Knox, Ntilikina and their high lotto pick (plus, take on the $6.4 million cap hit for stretching the contract of the departed Joakim Noah). Nobody else has this type of salary cap room. In fact, the Pelicans—who are mired in this Anthony Davis trade madness—may be the only other team that can build around prospects to the same level that the Knicks are doing so now. Surely if the Pelicans do the deal that LA Times‘ Lakers beat reporter Brad Turner suggests, New Orleans would have a plethora of prospects unmatched in the NBA, with 21-year-olds Lonzo Ball, Brandon Ingram, Ivica Zubac and 23-year-old Kyle Kuzma potentially uniting with Jahlil Okafor, Julius Randle, along with veterans Nikola Mirotic and Jrue Holiday. This is a team that is tailor-made to contend for the in 2021. If NOLA is even remotely interested, they need to make a decision by the trade deadline February 7 since Zubac becomes a free agent in the summertime. After February 7, Zubac cannot be dealt by the Lakers in a trade. On the flip side, if the Pelicans would rather deal Davis and cap filler to Boston for 20-year-old Jayson Tatum, 22-year-old Jaylen Brown, 32-year-old veteran Al Horford and draft picks, then the Celtics will have to wait for this summer to consummate the deal. At that point, the Pelicans would field a squad capable of contending for the 2020 NBA Playoffs. Either way, the Pelicans should be fine in life after A.D. 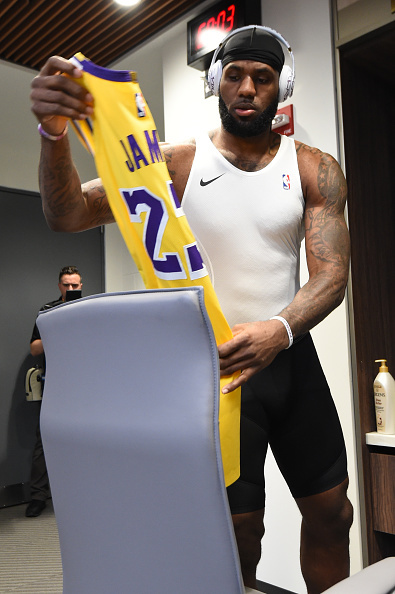 The Expendables Come To L.A.
With aforementioned blog boys playing Deal Or No Deal with ESPN’s NBA Trade Machine, one story lost in the woodwork is: What type of team would the Lakers field if they traded all the 23-and-under players on their roster for Anthony Davis? 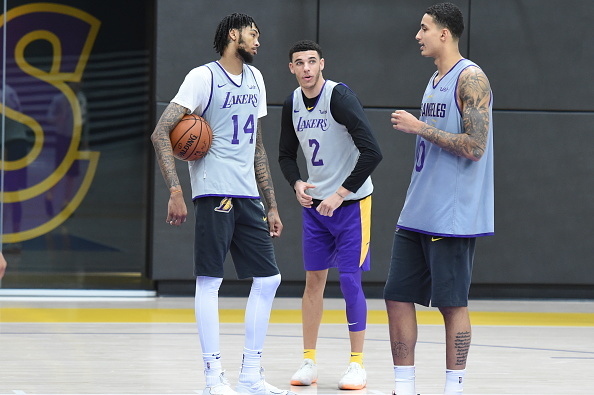 With Rajon Rondo, Kentavious Caldwell-Pope, Lance Stephenson, LeBron, Tyson Chandler and JaVale McGee already on board, the Lakers still could field a formidable five-man starter unit. But one wonders, How would they replace the departed reserves? You can best believe free-agent recruiter LeBron James would put out the bat signal to all his friends who are potential buy-out prospects or in semi-retirement. Like no other, LeBron has the ability to convince his elders and others to chase the ring to wherever his latest vision quest takes him. 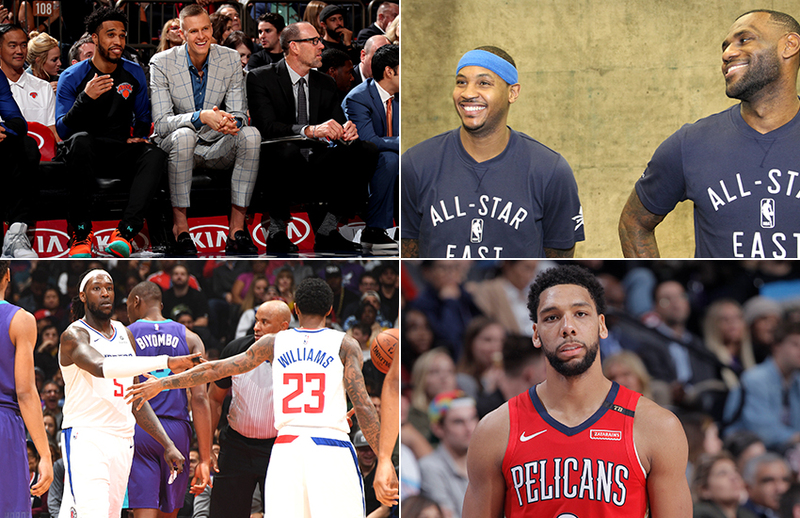 Forgive us for looking into the future, but if the New Orleans Pelicans and Los Angeles Lakers can strike a blockbuster multiplayer deal, we cannot wait to see how old L.A. can go in trying to fill out its 15-man lineup for the remainder of 2018-19. With that in mind, we present a list of savvy veterans that may be one call away—just as Tyson Chandler was earlier this season—from signing mid-season, pro-rated contracts with LeBron’s Lakers. It is a list every bit as impressive as Sylvester Stallone’s cast in The Expendables, The Expendables 2 and The Expendables 3, featuring stars just as famous as Hollywood’s Jason Statham, Dolph Lundgren, Bruce Willis and Arnold Schwarzenegger. Carmelo Anthony, Chicago Bulls: If the Bulls can get something for their 34-year-old commodity, they will trade him to L.A. If not, they will buy him out of his contract, and Melo will surely sign with LeBron’s team if they have spots and shots available. Channing Frye, Cleveland Cavaliers: If the Lakers have to include two centers in the Davis deal—say, Ivica Zubac and JaVale McGee—then they will need a third center to team with Davis and Chandler. The 35-year-old Frye can be bought out of his $2.3 million expiring deal if his former teammate LeBron has a landing spot for him in Staples Center. Other potential options could include New York Knicks center Enes Kanter and Chicago Bulls center Robin Lopez. The Knicks and Bulls are trying to trade their loaded expiring contracts this week, but may buy the vets out if they are unable to deal them. Joe Johnson, free agent: Though he struggled for both Utah and Houston in 2017-18, Iso Joe was a quality role player the previous season as a backup wing off Utah’s bench. Now 37, Johnson has yet to link on with any NBA team this 2018-19, though that may change if the Lakers have empty roster spots. When last seen in the NBA, Johnson logged 54 postseason minutes, while playing in eight of Houston’s 17 games in the 2018 NBA Playoffs. Jeremy Lin, Atlanta Hawks: Management has let it be known they are willing to trade Lin, wing Kent Bazemore and center Dewayne Dedmon for draft picks. The former Laker may be of special interest to LeBron and Company since The Lake Show is already short on point guards and may lose another one if Lonzo Ball is included in a Davis deal. DeAndre Jordan and Wesley Matthews, New York Knicks: This just in. With D.J. 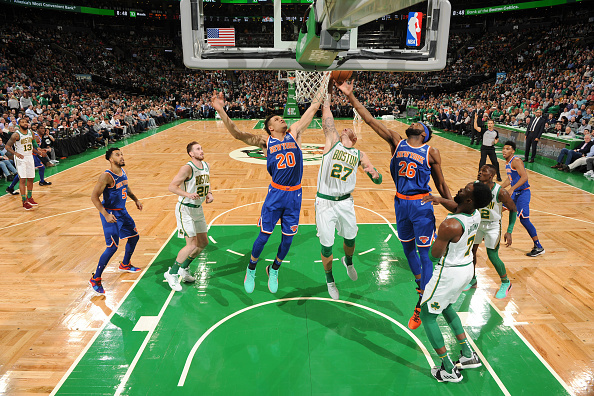 and Matthews being acquired on expiring contracts by New York in the Kristaps Porzingis deal Thursday, will the Knicks buy out the two veteran starters, so the team continues on its tanking ways? If so, you can bet Jordan would be interested in returning to Staples Center, and the center may be able to bring Matthews along for the ride. Head coach Tyronn Lue: LeBron’s former Cavaliers head coach is one phone call away should the Lakers ever decide to replace Luke Walton. Lue was a beloved Laker in his time in L.A. on the 2000 and 2001 NBA championship teams. NBA coaches have not voted any non-starters onto NBA All-Star teams in the 21st Century, so it was no surprise they ignored all the good off-the-bench candidates that were legit stars this season. That said, this 2018-19 NBA season is a special time for super-subs and we would be remiss if we did not shine spotlight on the four second-stringers who deserved consideration at the very least. Domantas Sabonis, Indiana Pacers: The 22-year-old Sabonis has been every bit as good this season as 22-year-old starting center Myles Turner, who is a deserving star himself. But we’ll go even one step further. Sabonis played as efficiently as 32-year-old Kevin McHale did when he was a Boston Celtic sub named to the 1990 NBA All-Star Game (Sabonis’ per-36 minutes stats: 21 points and 14 rebounds per game with a 24 Player Efficiency Rating; McHale, 23 and 9 with a 22 PER). In real time, Sabonis averages 15 points and 9 rebounds in 25 minutes per game; McHale, 21 and 8 in 33 minutes per game. 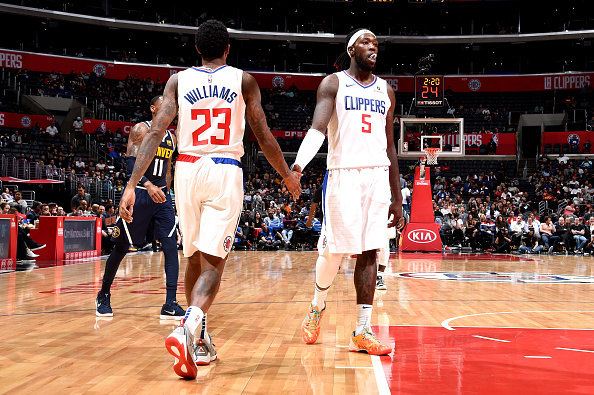 Montrezl Harrell, Los Angeles Clippers: Harrell is just as legit an NBA Sixth Man of the Year candidate as teammate Lou Williams The small-ball 6-8, 240-pound center is an energizer that has helped the Clippers overachieve thus far this season. In a way, Harrell’s season is comparable to 1997 NBA All-Star Chris Gatling, who got the coaches’ vote as a Dallas Mavericks’ small-ball center. Both Harrell and Gatling have identical 24 PERs, with Harrell averaging 16 points and 7 rebounds in 26 minutes per game, while Gatling averaged 19 and 8 in 27 minutes per game in 1996-97. Lou Williams, Los Angeles Clippers: Williams was almost as prolific a scorer as Milwaukee Bucks sixth man Ricky Pierce … and he was twice the playmaker. Pierce, who was chosen to the 1991 NBA All-Star Game by the coaches, averaged 21 points, 2 rebounds and 2 assists in 28 minutes per game for the 1990-91 Bucks. Williams, who is a two-time NBA Sixth Man award winner, is averaging 19 points, 3 rebounds and 5 assists in 26 minutes per game this season. Both Williams and Pierce have identical 21 PERs. Derrick Rose, Minnesota Timberwolves: Though they played different positions, Rose matches up favorably well with 1992 All-Star Dan Majerle, who averaged 17 points, 6 rebounds and 3 assists in 35 minutes per game for the 1991-92 Phoenix Suns. 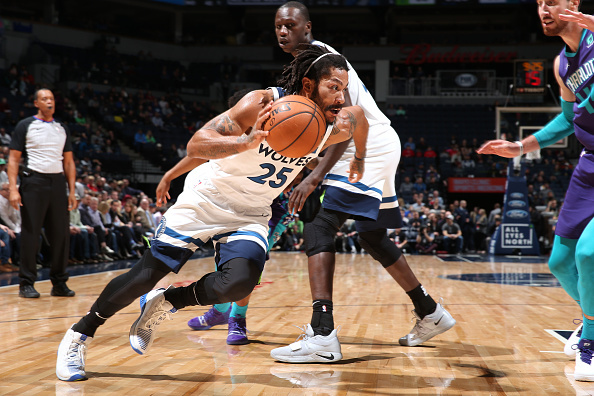 Rose, who only started 13 games for Minnesota this season, has been a sparkplug off the Timberwolves’ bench this season, averaging 19 points, 3 rebounds and 5 assists in 29 minutes per game. Rose has a 20 PER; Majerle, 18. 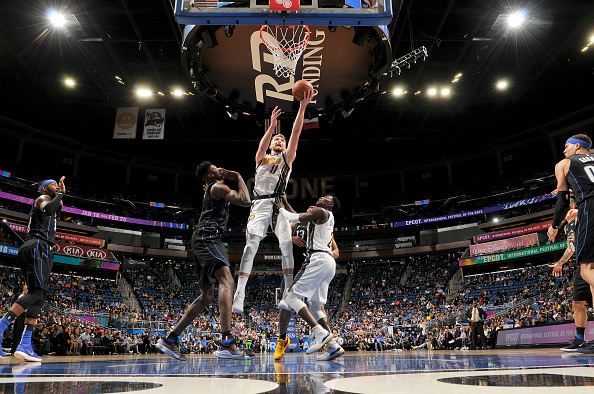 There are three third-stringers thriving in the League since the NBA rang in the new year, with each seldom-used player taking a star turn this January. 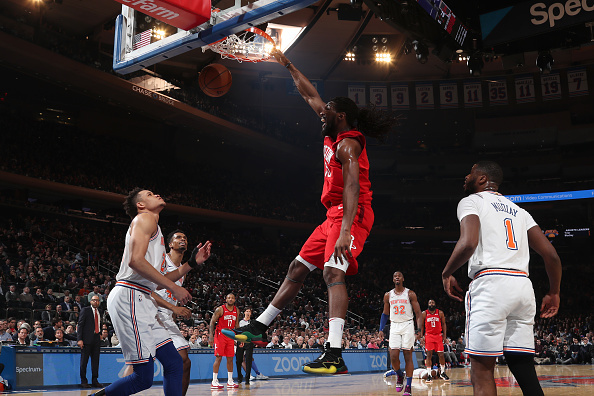 Kenneth Faried, Houston Rockets: The 6-8, 220-pound Faried had become a forgotten man, lost deep on the Denver Nuggets and Brooklyn Nets’ rosters, where he only played 49 games and 733 minutes for the past season-and-a-half. When Brooklyn waived the 29-year-old power forward and his $13.7 million contract January 17, Houston Rockets genius GM Daryl Morey pounced on the opportunity to sign Faried for the minimum once he cleared waivers January 19. Coach Mike D’Antoni wasted no time putting Faried in injured Clint Capela’s starting center spot. In his five games as a Rocket, Faried is averaging 15 points and 10 rebounds in 30 minutes per game with a 21 PER. 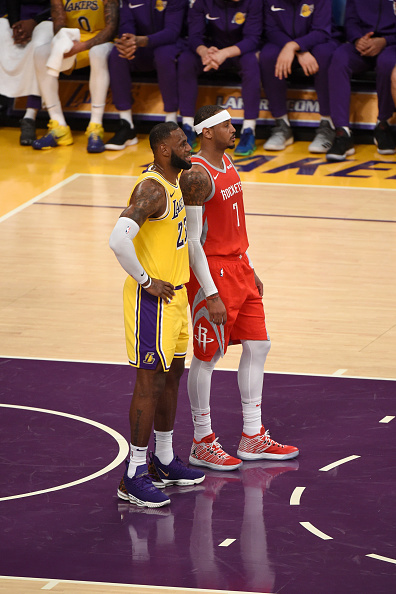 He has looked especially at home, running the pick-and-roll with either James Harden, who was his teammate on USA Basketball’s gold-medal winning 2014 World Cup team, or Chris Paul, who just returned to the lineup Sunday. Faried is playing once again with the energy that got him a spot on the national team, and Houston is the benevolent benefactor in this whole ordeal. Jahlil Okafor, New Orleans Pelicans: With all the focus on the trade status of Anthony Davis, nobody is noticing that the third pick from the 2015 NBA Draft is finally living up to his potential as a 23-year-old center, posting per-36 minute stats this season of 20 points and 12 rebounds with a 21 PER. It was tough for anyone to notice those per-minute stats, but notice they did once the 6-11, 275-pounder took Davis’ spot in the starting lineup after he was sidelined January 18 with a finger injury. At that point, Okafor had only played 241 minutes in 27 Pelicans games this season. Since being thrust in the starting lineup January 21, Okafor is averaging 20 points and 11 rebounds in 31 minutes with a .702 true shooting percentage in the last six games. The former Sixer and Net may not be the All-NBA player Davis is, but the Pelicans must be happy to know that the cupboard is not bare. 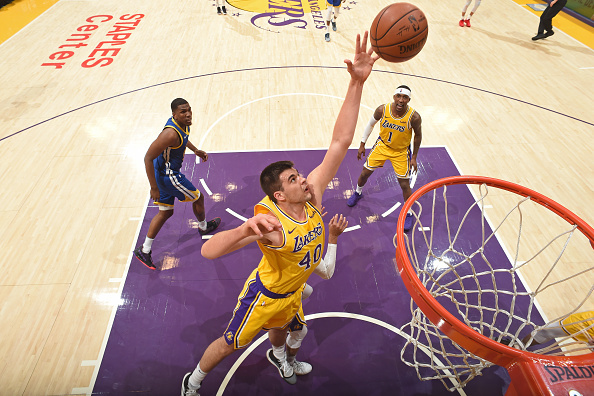 Ivica Zubac, Los Angeles Lakers: In limited action, Zubac has always shown he was worthy of more playing time, boasting career per-36 minute averages of 20 points and 12 rebounds with an 18 PER. Yet Coach Luke Walton never gave his young prospect consistent minutes, using the 7-1, 240-pound center for only 1319 minutes in 105 games his first two-and-a-half seasons in the NBA. Then a funny thing happened on the way to the season’s second half—Walton started playing Zubac more, giving him 161 minutes the past seven games. In turn, Zubac has responded by averaging 16 points and 7 rebounds in those 23 minutes per game. 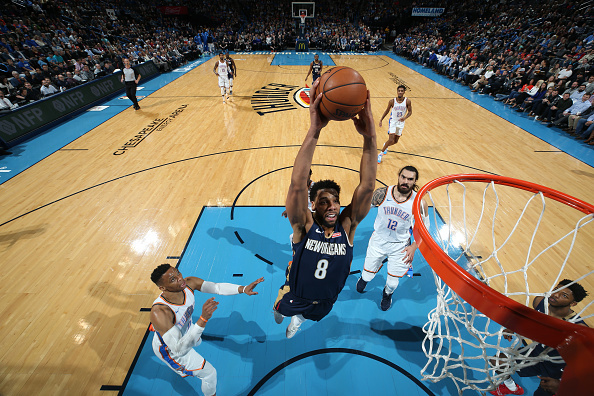 His season-long per-36 minutes stats now read: 20 points and 12 rebounds per game with a 21 PER, along with a +5.0 on-court net rating per 100 possessions and +4.2 on-off rating. We doubt the 21-year-old prospect will be buried deep on the bench ever again and his recent play may be enough to tip the Anthony Davis trade in favor of the Lakers over the Celtics.